4 Port HDMI Switch allows users to connect up to 4 HDMI source devices to one HDMI display For easy access and convenience this switch has one HDMI port on the front panel that can be used to connect your portable devices such as laptops tablets or digital cameras while the other three HDMI ports on the back provide permanent connections for your Blu ray players set top boxes media streaming devices and video game consoles This item cannot be shipped to APO/FPO addresses. Please accept our apologies. 2-Port 4K HDMI Splitter Ultra-HD 4K x 2K Video & Audio 3840x2160 This item cannot be shipped to APO/FPO addresses. Please accept our apologies. Icy Dock has changed the game yet again with the new EZConvert Pro Series MB982SP-1S Full Metal 2.5? to 3.5" SATA SSD & HDD Converter. The MB982SP-1S is built from all metal meeting the demands of commercial use SATA storage appliactions. This product is designed using the dimensions connection locations and mounting hole positions of a standard 3.5" SATA drive so that it can be used in any internal hard drive bay as well as with backplane and hot swap modules. While using the EZConvert the transfer speed will not cause any performance drops and is designed to fit into most common PC cases 3.5" HDD duplicators rackmounts backplanes and servers. This item cannot be shipped to APO/FPO addresses. Please accept our apologies. 4 PORT HDMI SPLITTER V1.3. 1080p; split 1 HDMI audio/video signal to 4 high definition displays This item cannot be shipped to APO/FPO addresses. Please accept our apologies. Combining the performance exclusive to the EZ-RJ45 design with the advantages inherent to shielded products for a unparalleled solution. In applications where NEXT, FEXT and AXT are an issue, using shielded products can be the solution. 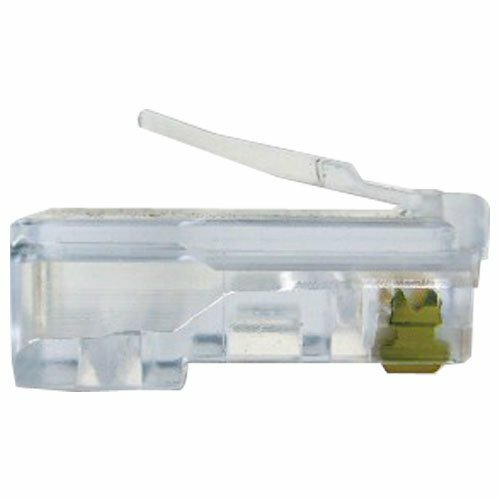 Designed to work on both Cat5e and Cat6 cables, solid or stranded. 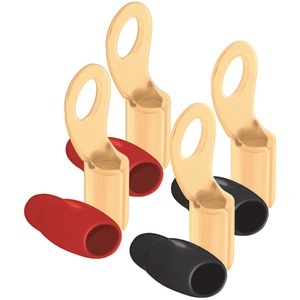 Through holes allow wire pairs to be inserted through front of connector for faster terminations>EZ to verify wire sequence, reduces scrap>Works with solid or stranded wire – separate connectors not required, reducing inventory and confusion>Use in Category 3, 5, 5E or 6 compliant data networks>UL rated, FCC & RoHS compliant This item cannot ship to APO/FPO addresses. Please accept our apologies. Connect an HDMI devicecomputer to a VGA monitor or projector with this slim adapter ideal for laptopsultrabooks HDMI to VGA Converter HDMI Laptop to Monitor HDMI to VGA Converter Box HDMI to VGA Adapter Laptop to Projector 1920x1200 This item cannot be shipped to APO/FPO addresses. Please accept our apologies. The Digital To Analog Audio converter box takes your coaxial/optical (S/PDIF or TOSLink) digital audio source and converts it to standard analog left/right audio available for connection to an external device such as an amplifier or recording deck via standard RCA-style jacks. Now you can bridge your legacy sound system with digital sources such as DVD and CD players that don't have RCA-style analog outputs. This item cannot be shipped to APO/FPO addresses. Please accept our apologies. 2-Port HDMI Splitter with Audio - USB Powered. Distribute HDMI signals from one source to two HDMI displays simultaneously. This item cannot be shipped to APO/FPO addresses. Please accept our apologies. The KeyMander Gaming Controller Adapter from IOGEAR takes the console gaming experience to the next level! By connecting your keyboard and mouse to the KeyMander all controller functions can be rapidly and more accurately accessed for an advantage in high-speed first person shooters role playing games etc. For PC gamers who have wanted to use a keyboard and mouse while playing a game console the KeyMander takes advantage of your keyboard and mouse skills to dominate on a Playstation 4 Xbox One and Playstation 3 / Xbox 360 video game systems. The KeyMander's PC software enables macro programming speed adjustment key mapping and a number of other advantages to help you gain the upper hand in your online multiplayer battles. Got multiple gamers under one roof? Each person can have their own KeyMander control profile or even load different keyboard layout profiles for different games. Includes KeyMander Controller Emulator (2) USB Mini to Type A Cables Software Installation CD Quick Start Guide Warr This item cannot be shipped to APO/FPO addresses. Please accept our apologies. Connect a DVI monitor to a singlemode DisplayPort output from your computer Compatible with Mini DisplayPort (SingleLink) equipped desktops or graphic cards such as Alienware M17x M18x SingleLink Active Conversion DHCP 1.3 ATI Eyefinity AMD Eyefinity Supports Resolutions up to 1920x1200 Mini DisplayPort to DVI Mini Display Port to DVI Converter MDP to DVI Mini DP to DVID DVI Active Adapter Mini DP to Monitor MDP to Graphics Card Mini Display Port to Monitor This item cannot be shipped to APO/FPO addresses. Please accept our apologies. Laptop-to-Server KVM Console with Rugged Housing Use this USB crash-cart adapter to turn your laptop into a portable KVM console for accessing servers ATMs and kiosks with file transfer and video capture. This item cannot be shipped to APO/FPO addresses. Please accept our apologies. USB 3.0 SuperSpeed 2.5" USB 3.0 SuperSpeed 2.5"
USB 3.0 SuperSpeed to SATA III Adapter 2.5in / 3.5in Hard Drives This item cannot be shipped to APO/FPO addresses. Please accept our apologies. GefenTV Digital Analog Decoder converts audio encoded in Dolby Digital down to 2-channel L/R. Convert up to 5.1-channel audio encoded in Dolby Digital Surround to L/R analog audio -- without additional costly equipment! The GefenTV Digital Audio Decoder takes audio encoded in Dolby Digital (at up to 5.1 channels) from your multichannel S/PDIF or TOSLINK digital audio source and converts it to L/R analog audio -- without the need for any other external equipment! With the GefenTV Digital to Analog Decoder you can listen to digital audio sources such as DVD and CD players or digital computer audio on your legacy analog sound system preserving your current investment. 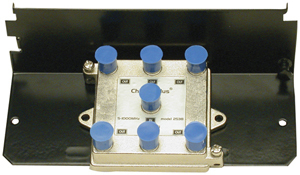 A coaxial or optical audio output on your digital audio source connects into the input on the Digital to Analog Decoder. The input type is chosen with the Decoder's selector button. The Decoder is connected to power. Analog RCA connectors on the Decoder output L/R analog audio to powered speakers. This item cannot be shipped to APO/FPO addresses. Please accept our apologies. Tripp Lites P936-000 Serial ATA (SATA) to IDE converter allows a standard parallel ATA hard disk drive CD-ROM CD-RW DVD ROM DVD + RW etc to be used with Serial ATA Controller cards or motherboards with Serial ATA ports and meets the specification of Serial ATA 1.0 interface. Easily connect IDE/ATA Drives to a SATA Controller Compliance with Serial ATA Gen 1.0. Master/slave device emulation support. Supports PIO mode 0 4. Supports Ultra DMA mode 0 7. Supports UDMA data transfer rates of up to 150MBps Supports ATAPI Packet command set. Supports 48-bit LBA addressing. Supports additional ATA command for serial ATA SCR access. Serial ATA power save mode supported Serial ATA BIST operation. Supports hot-plugging System Requirements Supports any operating system when a PC with available IDE hard disk and SATA controller are used Package Includes Serial ATA to IDE Converter x 1 Serial ATA Cable x 1 Power supply cable x 1 User's Manual x 1 This item cannot be shipped to APO/FPO addresses. Please accept our apologies. 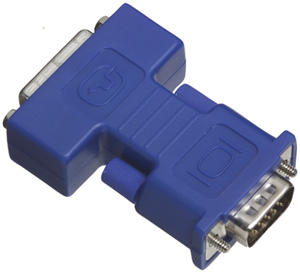 WL HDMI/DVI Adapter - The ability to use an HDMI Cable on a HDTV with a DVI input. Female HDMI to Male DVI, Gold-Plated Contacts.